Big opportunity Great Resort due to age and therefore this price reduction ,one Guesthouse is equipped with the main building, Guesthouse is equipped with the main building, swimming pool at a size of 108m2 , It is surrounded by 9 huts in form of bungalows in Sri-Lanka . Top a Hong Kong-based company ANNUAL REVENUE: $7,145,376 that engages in the import and export of Housewares Included in the asking price is a banking line of credit of US $3,750,000, a fixed deposit in the bank amounting to $655,000 US, and real estate in Hong Kong worth $491,678 US in China. 5 Star Hotel in North Goa - 7-8 % PA Investment with 310+ Rooms Swimming Pool, PA Treatment rooms, Health and Fitness Club, Steam and Jacuzzi in India. 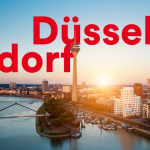 708618 | Dusseldorf 4* Hotel 200 + Keys yield 4.4% yield 4. Dusseldorf 4* Hotel 200 + Keys yield 4.4% yield 4.4% Düsseldorf feature satellite TV and Wi-Fi. rich hot and cold buffet breakfast is served every morning at the hotel in Germany. Top Investment Ibiza hotel first line right on the beach= Aparthotel Hotel 3 stars + with 150 rooms +Plot with license to build one a 5 star hotel with 250 rooms direct next Apart Hotel Spain. Fantastic 4* Hotel in Barcelona 80 Keys This attractive hotel is in a central area of Barcelona, next to the Plaza de España just 2.5 kilometers from the beach ,a bar, a pub, a TV room and an a la carte air-conditioned restaurant. Guests can use the conference room and the Internet terminal in Spain. Top Portfolio 3 Hotels Barcelona and 4 in rest of Spain 1.100 keys and 90 Apartments in one building great investment one 2* and rest 4* in Spain. Top investment 1 M below invest sales 500.000 in 2018 15Keys Hotel on the Beach in Panamá. Around Murcia 4* Beach Hotel 85+ Keys 1M reduced , There is a café-bar, a lounge, TV room and a restaurant only 30 m from the beach in Spain. Chiringuito (Beach Bar/Restaurant)in Ibiza Payment in 2 times possible Kitchen completely new renovated At the beach: 20x chaise lounge and 10x sunshades in Spain. Portfolio 20M below value in Tenerife 705 Rooms + 50+Apartment on and close to Beachs 3and 4**** Outdoor pool (all year) Indoor pool , Occupation: January 86.23%, February 93.98%, in Spain. Top Hotel in Menorca 25+ Keys Actual turnover for 8 month: 600'000 EUR The hotel has been completely renovated from 2006 to 2010, paying the most attention to the quality and security of materials in Spain. Top ROI 15% Beach’s HOTEL in Rhodes 38 rooms and 5 villas In a 22.000 m2 plot with a 2.500 m2 build area in Greece. Top Invest 540 kilos GOLD Purity : 96.5% or above Carats: 22 plus in Ghana. Top Hotel & Resort Almeria 240+ Keys ROI 8% • Facilities: terraces, pools, bars, restaurants, conference rooms, parking, air conditioning, minibar, and much more ...in Spain. New Build Country Villa € 150.000 reduced Build 813m2 plot 33.545 m2, The main feature of the house is the Andalusian courtyard with central, heated swimming pool. Outside, the 33,000m² plot is fully fenced and would be ideal for horses in Spain. Great 3* Hotel in Madrid Yield 7.5% more than 100 Rooms, Condition: 2008 Newly renovated Facilities: terraces, bars, restaurants, conference rooms, parking, air conditioning, minibar, safe, and much more ...in Spain. 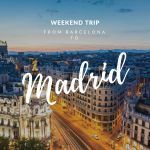 Top Hotel Madrid 4* ROI 9% with 260+ KEYS is located just 100m from the center, all modern amenities such as satellite TV, Wi-Fi access, minibar, hairdryer and safe in each room in Spain. Great Opportunity on 50% Annual Turnover: £500,000 , Campsite, live /work Barn & Cannel -Side Pub and fully renovated 3-bedroom cottage in the UK. Opportunity REDUCED by 15.000 euros Restaurant/Cocktail bar on the Beach on the Costa Del Sol incredible views from its large terrace over the golden sand beaches and the Mediterranean Sea. Is 75 % from the Value we sell Top Investment Portfolio 45+ Iconic Hotels 5* in 22 Countries Only more info after LOI and POF. Guesthouse/B & B for rent in 12 apartments and 2 Penthouses and 1 commercial facility 14 bed and 14 bad rooms Malaga Spain. Great Apart-Hotel and wellness 4* ROI 8.5% in Mallorca ,more than 150 apartment’s Terraces, indoor / outdoor pools, bars, restaurants, conference rooms, parking, mini-bar, safe, WiFi, lounge, and much more ... Very good, newly renovated in 2012 in Spain.